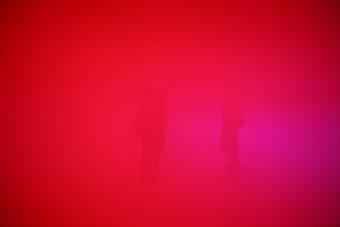 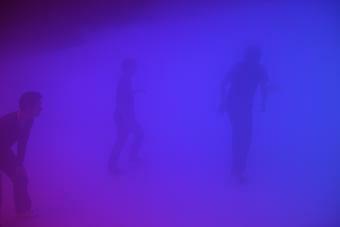 Inside the Great Hall of Ullens Center for Contemporary Art, a former industrial building in Beijing, an entirely white space was filled with artificial fog and illuminated from above by a grid of coloured fluorescent lights. 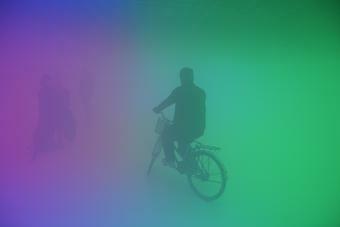 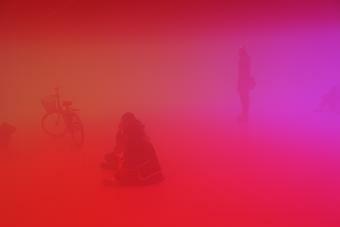 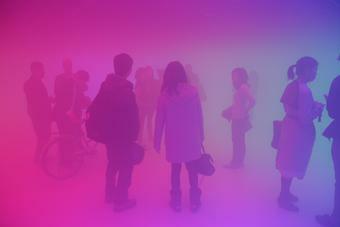 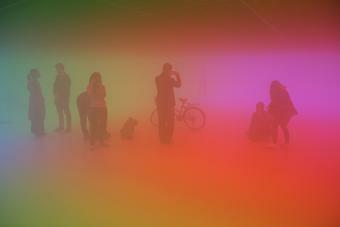 The lights divided the fog into fields of red, green, and blue – the primary colours of the additive colour scheme. 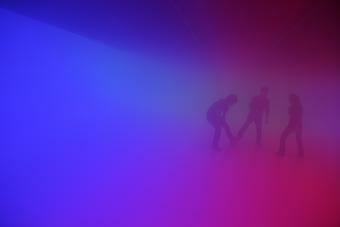 Where two colours met, the hues blended, creating transitional slivers of cyan, magenta, and yellow. 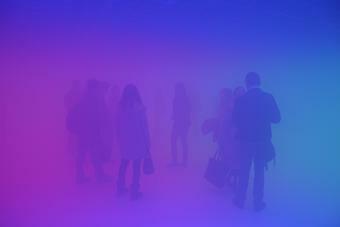 To heighten the sense of disorientation, the gallery’s ceiling was dropped and a long ramp was constructed running from the entrance towards the back of the space, where ramp and ceiling abruptly curved upwards. 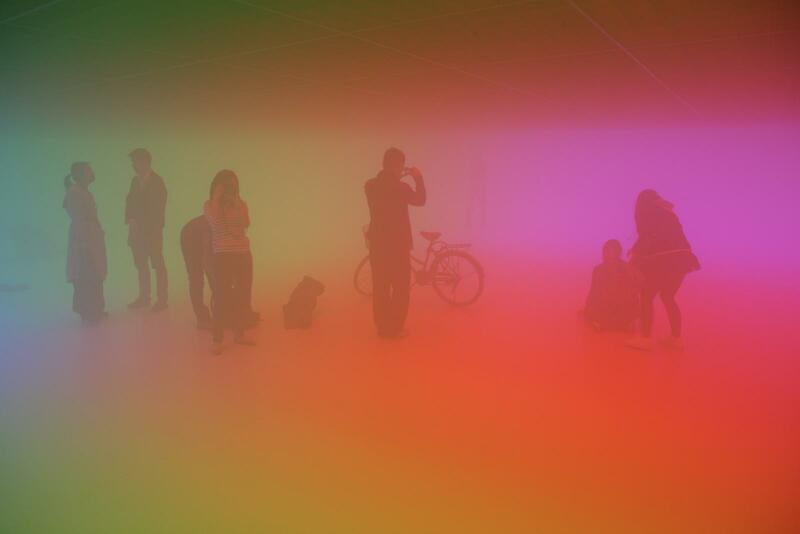 To compensate for the incline of the floor, visitors had to constantly renegotiate their balance by shifting their weight and posture – with only the fields of colour to guide them intuitively through the dense atmosphere.